I know I am a little late to the eclipse party, but I finally worked up my photos from the solar eclipse on August 21st. I really had a blast that day. It had been so long since I had seen any sort of solar eclipse. I vaguely remember seeing them when I was a kid growing up in Ohio. In one instance we poked holes in shoe boxes and saw the fun shadows. In another instance my cousin stacked together seven sun-glasses to imitate the darkness of welding glasses. 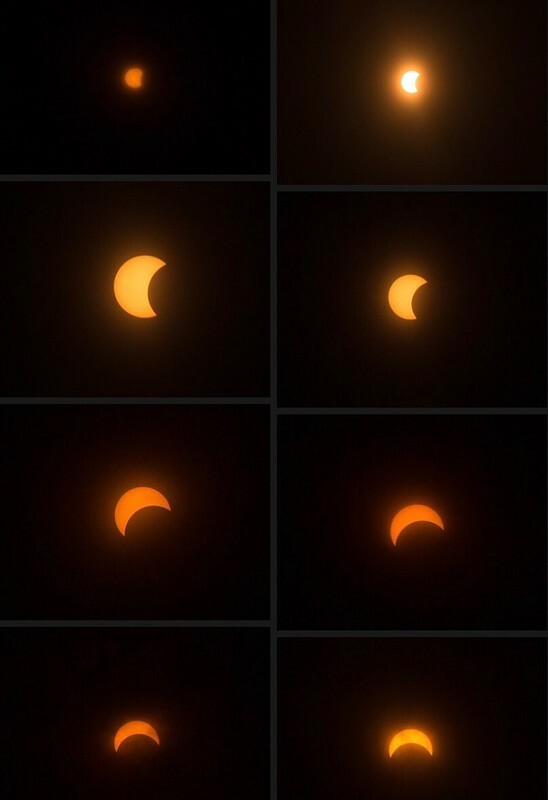 I don’t really remember ever being able to get a good look at the sun as it progressed over a two-hour period, which made this eclipse all the more exciting. 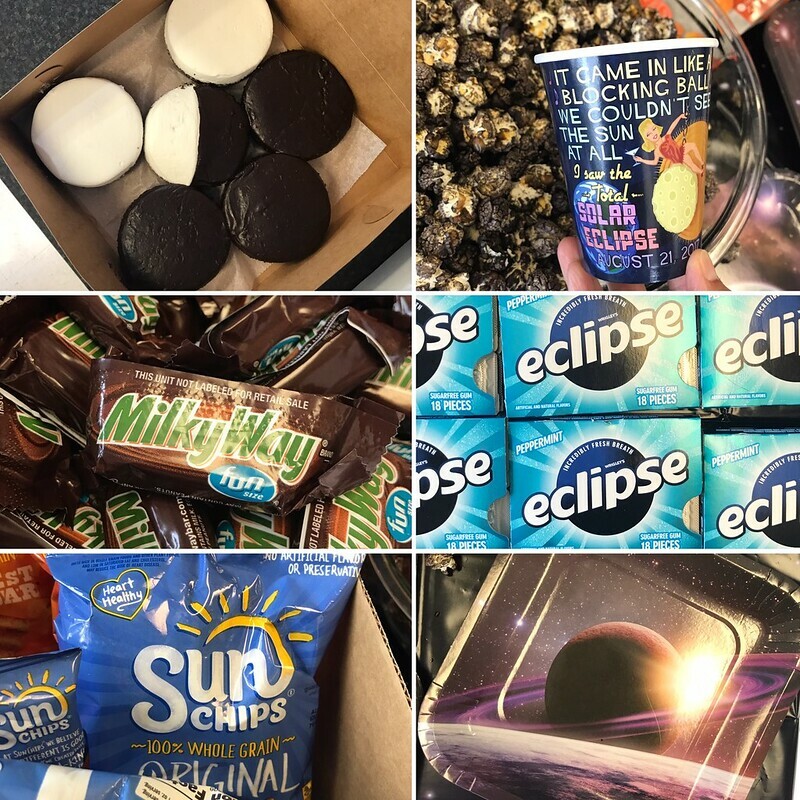 I ordered special glasses for everyone at my company and we ended up having a solar eclipse party on our patio between 1:30PM and 3:30PM. One of my colleagues ordered filters for the photo buffs in our company (there are several of us) – woo hoo! I’ve never had so much fun playing with the manual setting on my camera. I found that I could hand hold the camera down to around 1/8 of a second, so I tried not to go below that. I also played around a lot with the exposure depending on whether I was shooting with or without the filter. I didn’t have a tripod, so I had to make do with crouching in funny positions with my skirt on, ha ha. As the eclipse progressed on some clouds cover began to arrive, allowing us the opportunity to stare straight at the eclipse (without hurting our eyes), and also to photograph the eclipse without the filter. Ominous-looking indeed! I took a ton of photos, but many of them look quite similar to each other. Below are a couple representative ones that I like. 🙂 My favorite is probably the cloud covered photo at the beginning of this post.